Not every law firm is the same. The Calgary real estate lawyers, or attorneys, at Kahane Law Office prioritizes the importance of delivering timely and effective results to fulfill our clients’ needs. We know that buying or selling your home is an exciting yet stressful event. It may also be one of the biggest financial investments you ever make. Our friendly team of experienced lawyers and paralegals are here when you need us. We also assist in various real estate areas including leasing, developing and financing commercial real estate. Our clients tell us that cost and value are important. At Kahane Law Office, we believe in transparency. For most of our residential real estate transactions, we offer flat rate fees. You know your final invoice (including disbursements) in advance of retaining us. This means if we are not efficient, we cannot just add extra courier, or other costs to your bill. Our fees are neither the highest nor lowest in Calgary. We sit about the middle – cost wise. The value our Calgary real estate lawyers give is exceptions service. Feedback of multiple Calgary real estate law firm clients have established Kahane Law as Top Real Estate Law Firm In Calgary for six consecutive years. That is value! Please see our flat rate fees for details. When hiring Calgary real Estate Lawyers to assist you with your transaction, real estate law should be a chief focus in their practice. You may not wish to hire a lawyer who dabbles in a wide range of practice areas. While routine functions usually do not pose a challenge, with volume comes experience. The more situations a lawyer encounters, the more “tools” she or he will have in their tool chest to help you with your real estate legal needs. Our real estate group focuses primarily on residential and commercial real estate. In fact, real estate has been the main focus of Kahane Law Office since its inception over a decade ago. Many Calgary Real Estate Lawyers offer legal services to clients. Pick a lawyer who puts you at ease and is accessible in case you have any questions or need to resolve issues throughout the transaction. A law firm that turns over a high volume of real estate deals may employ a large number of legal assistants and paralegals. Consequently, a legal professional is there for you when you need them. Kahane Law offers Calgary’s only after hours hotline for realtors and mortgage professionals so that legal help is only a call away, even after most offices are closed. Our lawyers prioritize integrity and transparency. The long-term relationships we have cultivated with our clients are based on a foundation of trust, collegiality and a deep understanding of the complexities of Alberta’s real estate sector. Our team of honest, competent lawyers pride themselves in always acting in your best interest. Kahane Law Office is truly a full service law firm. At times, real estate transactions may require legal expertise from other practice groups at our firm. Our Calgary real estate lawyers work closely with our corporate law, litigation, immigration, criminal law, wills & estates and family law group to ensure you receive the legal services you require. Often we get quick answers at no additional cost to our clients. In addition, through our affiliations, we can connect you with qualified law firms outside of Alberta to assist with transactions outside of the province or country. 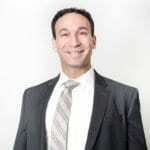 As the founder and managing partner at Kahane Law Office, Jeff started Kahane Law Office in 2004, which began as a primarily real estate focused firm. His extensive experience in assisting clients in their residential real estate transactions is fueled by his passion for helping people navigate one of the most exciting times in their lives – buying their home. Over the last several years, he has shared his in depth knowledge by teaching, real estate agents, mortgage brokers, soon to be lawyers at law school and even current lawyers. Jeff’s full bio on his practice as a Calgary real estate lawyer is just a click away. 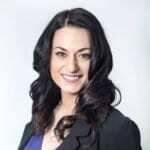 Alaine was called to the bar in 2007 and has been with Kahane Law Office since articling in 2006. With a practice area that started and continues in residential real estate, Alaine is passionate about helping you resolve your legal issues. She aims to do so in a timely and cost-effective manner. She enjoys helping with sales and purchases of residential real estate, mortgage refinances, transfers of land, and drafting purchase contracts. Alaine’s bio and residential real estate law practice information is a click away here. Proudly born and raised in Calgary, Alberta, Julia was called to the bar in 2010. She articled at Kahane law Office and has remained with our firm ever since. 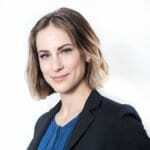 Julia practices in residential and commercial real estate law. To help her commercial real estate clients. she maintains a general corporate commercial practice. She enjoys assisting with a variety of areas ranging from sales and purchases of homes and businesses, to corporate restructuring and reviewing commercial leases. Click here for more information about Julia’s practice as a real estate lawyer. Ali was born and raised in Calgary, Alberta and was called to the bar in 2013. She maintains a general real estate and corporate practice and enjoys helping clients purchase, sell, lease and refinance property as well as buy and sell businesses. 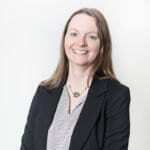 With experience operating various small businesses, she is also passionate about assisting with clients’ entrepreneurial endeavours and adores working with first time home buyers. Learn more about Ali’s real estate law practice here. Talina was called to the bar in 2018 and became interested in law after working at a litigation law firm in her hometown of Red Deer, Alberta. She maintains a general real estate and litigation practice. Talina’s wide array of experience spans representing clients in court in all areas of law, including real estate, and providing legal services for residential real estate matters including sales, purchases and refinances. Her litigation skill set allows her to focus on enforcement matters related to leases, foreclosures, mortgages, and commercial and residential transactions. Learn more about how Talina helps her real estate clients here. Vanessa returns as a Student-at-Law after summering at Kahane Law Office. Born and raised in Hong Kong, she enjoys assisting her clients in both English and Cantonese. As a real estate investor, she is passionate about helping clients achieve their goals – whether it be buying their first property or leasing commercial space. Vanessa also assists with general corporate commercial matters including asset and share purchases, acquisitions and drafting various contracts. Learn more about Vanessa and her role as a real estate student-at-law here. Real Estate Attorneys In Calgary? Do not be confused. People ask the difference between a lawyers and Calgary real estate attorneys. In Alberta, they are the same thing. The term attorney is often used in the US but is also accurate in Canada. So if you need a real estate attorney in Calgary, we are here to help. When you retain a real estate lawyer at Kahane Law Office, you hire our entire team. We have a long standing history of providing custom solutions to complex real estate transactions. Our team appreciates the time sensitive nature of real estate transactions and we work tirelessly to ensure your real estate deal is executed seamlessly and closes on time. Need legal assistance? Do not wait. Call our Calgary real estate lawyers today at 403-225-8810 in Calgary, Alberta, or toll-free at 1-877-225-8817 or email us here directly.